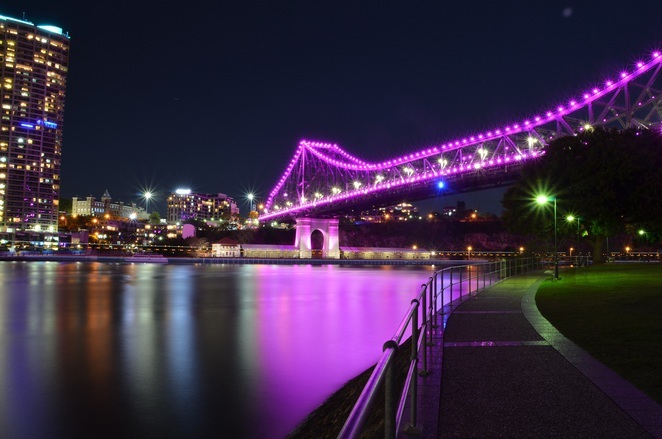 Whilst our fair city has some beautiful views during the daylight hours, it's at dusk and in the evenings when Brisbane puts on her best dress. Springtime is the perfect of year to explore Brisbane by night as the evenings are pleasantly warm and mostly dry. During the cooler months, the air is clearer making the city sparkle even more. 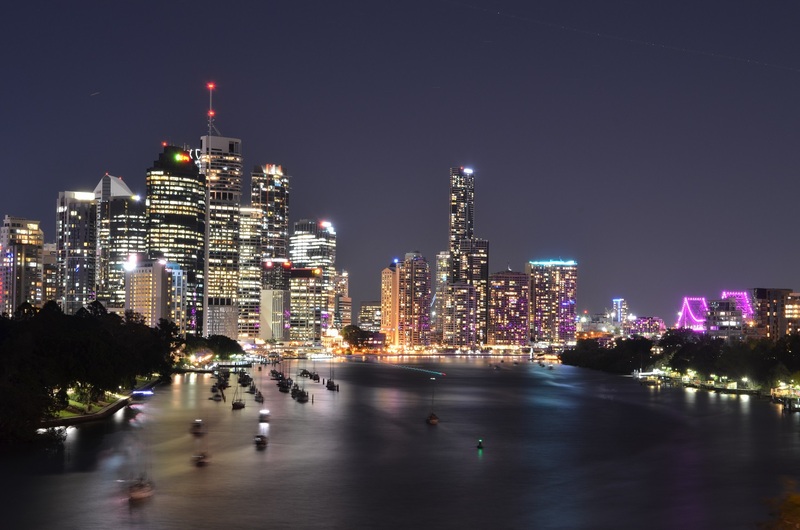 I am writing this in Spring, but any time of the year is a good time to explore Brisbane at night – only your choice of clothing and meal options may need adjusting in Winter! 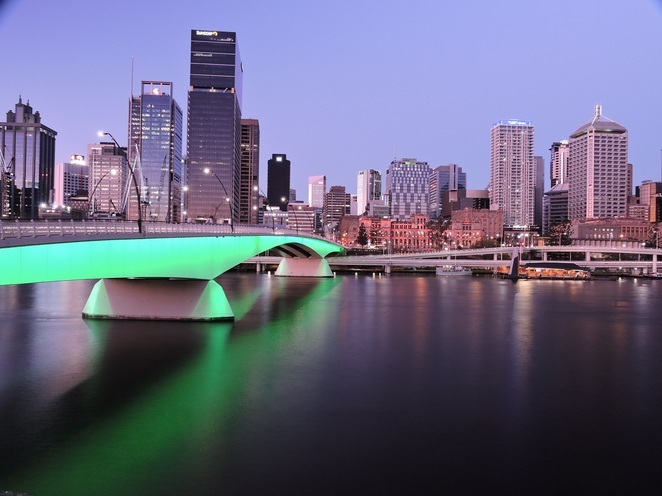 Brisbane is fortunate to have plenty of amazing locations all along the river with views across the water to the CBD. Walking around the city in the evenings is not only a great way to view the city in her night-time glory, but is a good workout too. 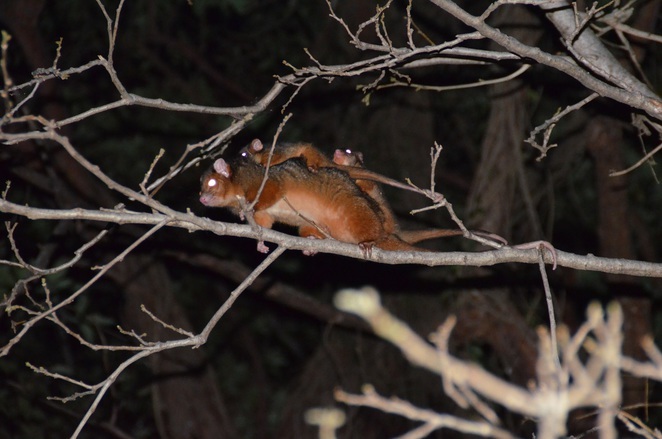 It's very easy to get caught up in finding the next great view and end up walking further than you thought – there have been nights out with friends where we have walked up to six kms in a few hours without even thinking about it. A great way to enjoy your stroll around the city is to meet up with friends, or take the family along. Start your evening just before dusk, and make a night of it by grabbing some dinner along the way. Brisbane's inner city has a multitude of choices for dinner with the family. My go-to for dinner on a Friday or Saturday evening is either Zues Greek Street or The Brooklyn Depot in Grey Street Southbank. Both have exceptional food at family-friendly prices. Alternately take a picnic dinner along to any of the many riverside park areas with electric BBQs and have a different dinner out. Captain Bourke Park under the Story Bridge, Roma Street Parkland, and Southbank all have free electric BBQs perfect for an evening cook-up. So where to start with your stroll around the city at night? Depending on your mode of transport there are lots of options. As I catch the bus into the city, my 'usual' route starts at King George Square so the route described here is based around starting from there. City Hall is lit up for the festive season, along with the Christmas tree, so that makes for a great start to your city lights walk. Walk along Albert Street through the Queen Street Mall to the Botanic Gardens. From here there are lovely views across the river to the Story Bridge. 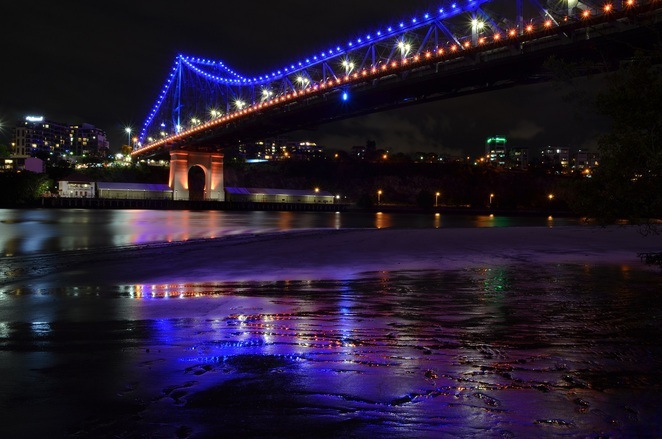 The bridge has different colour lights for different events almost every night, and the reflections across the river are always beautiful. The Botanic Gardens themselves are well lit at night and are well worth exploring. Keep an eye out for possums scampering around, they are well used to people and will often stand still while you stroll past. From the Botanic Gardens walk towards Southbank across the Goodwill Bridge. The platforms on the bridge provide views up the Brisbane river with the city on one side and Southbank on the other, and the Victoria Bridge lit up in the middle. Depending on where you want to go there are two directions you can take from the Southside of the Goodwill bridge – turn right for Southbank or turn left for Kangaroo Point. 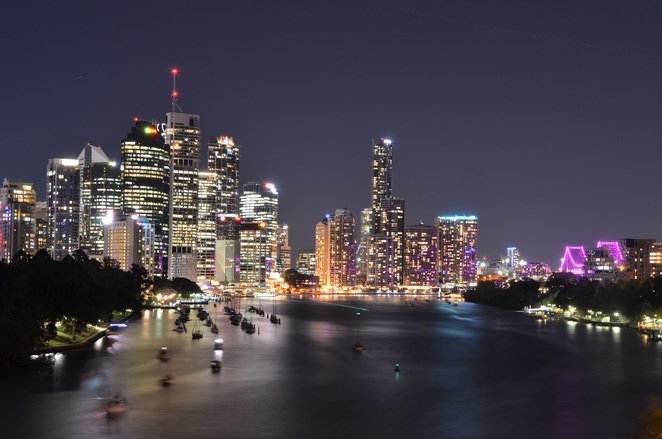 Taking the Kangaroo Point option lets you wind your way along the riverside with sweeping views across the river to the city. If your energy levels are high, you can also walk up the 'dreaded' Kangaroo Point cliff stairs for a different view of the city. Regardless of whether you take the low road or the high road the views of the city are truly spectacular. The riverside walk eventually takes you to Captain Bourke Park under the Story Bridge, where you can see the bridge from a different perspective. If you want some dinner after walking this direction, either fire up the BBQs, reverse your route and head to Southbank, or catch the ferry (either the City Cat or the free City Hopper) across to Eagle Street. 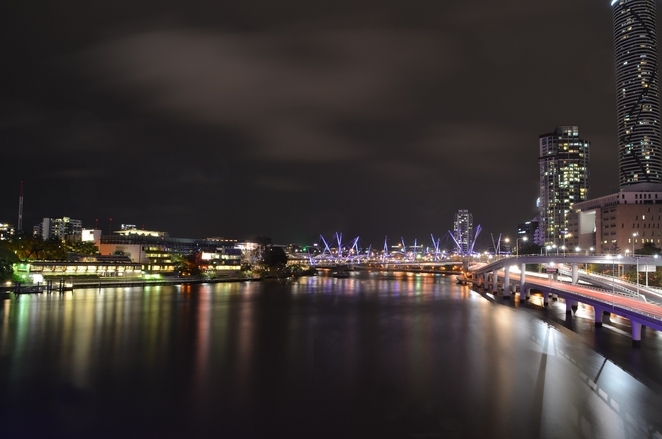 Taking the Southbank option allows you to take in the beauty of this side of the river at night. You can either walk along the riverside, or via the Grand Arbour. Either option makes for a relaxing walk and are both beautiful at night. The riverside walk provides views across the river to the city, and the Grand Arbour is simply stunning with the Bougainvillea in flower. Time for some dinner? Fire up one of the electric BBQs or head to the café & restaurant precinct. Getting back to the city to catch the bus or train home, or to pick up the car is easy. Simply stroll across the Victoria Bridge and through the mall to King George Square, or if you need to walk off some calories after dinner take the longer option and walk past QAGOMA to the Kulrilpa bridge. 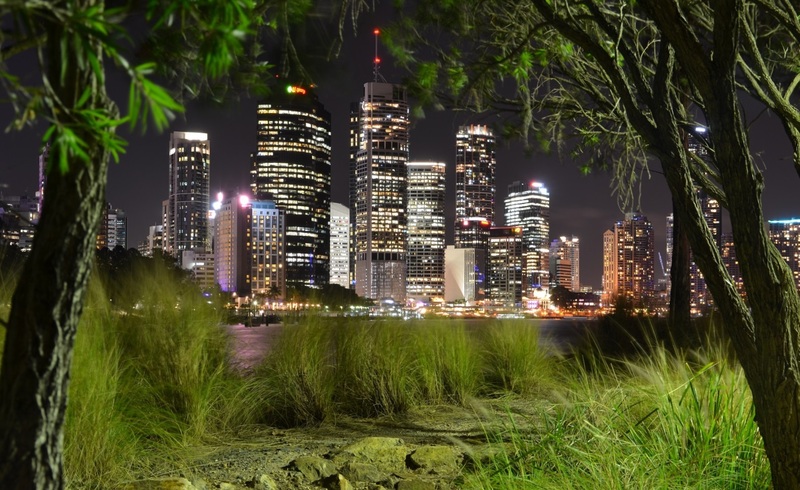 So do yourself a favour and try exploring Brisbane by night - it is well worth the effort for the views alone! 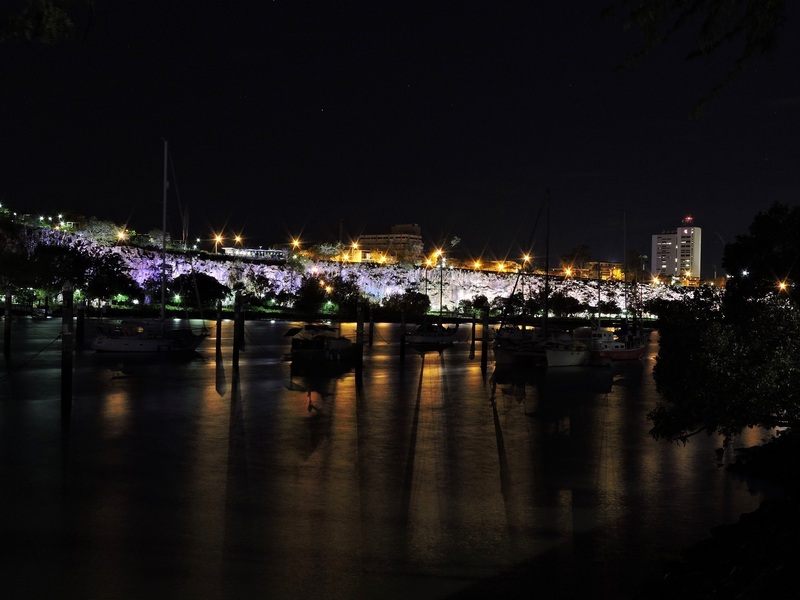 Great article, Brizzy, Brisbane is very pretty by night!